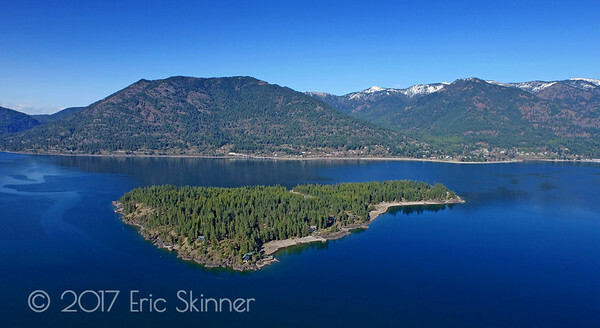 Looking much like a mini State of Idaho floating in Lake Pend Oreille, this aerial image of Warren Island is looking North with the town of Hope Idaho in the background. 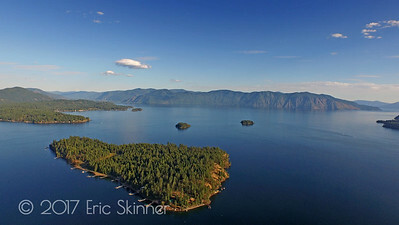 The Hope Peninsula with Hope Idaho in the background. 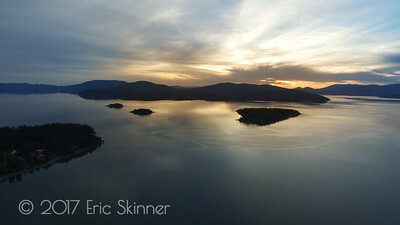 The small island in the foreground is Memaloose Island, with Warren Island in the distance. 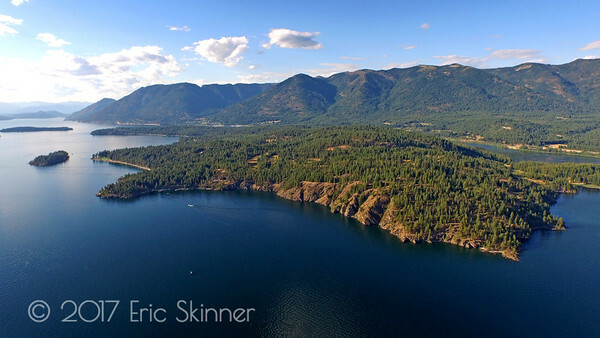 Located on the Hope Peninsula, Kulispell Point and Memaloose Island are maybe more of the most beautiful properties on Lake Pend Oreille. Both are privately owned. 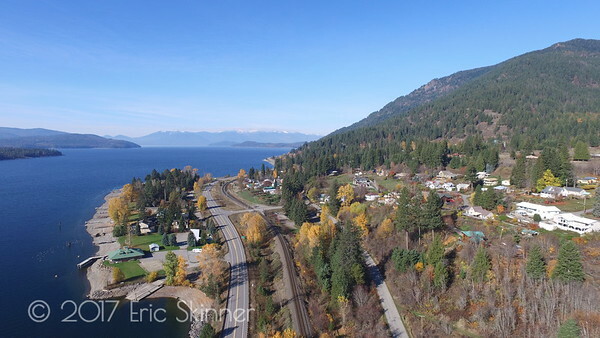 In the distance you can see Schweitzer Mountain Ski Resort, and from left to right, Pearl Island, Cottage Island & Warren Island. 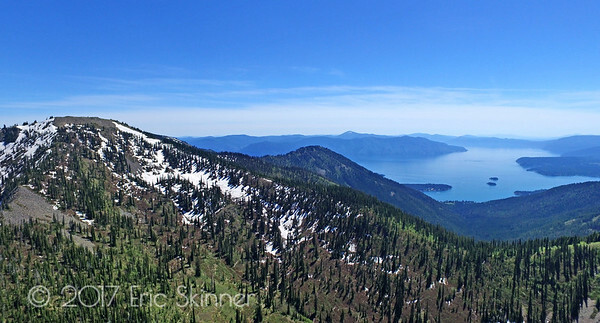 Kulispell is known as the first "White Man" settled area of Idaho when David Thompson first discovered it while surveying the area for Canada in about 1809. 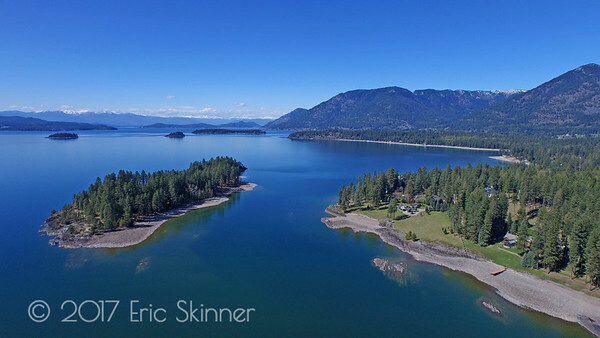 One of the many beautiful bays of Lake Pend Oreille, Ellisport Bay in Hope, Idaho is one of the locals favorites with it's smooth water and restaurants like the "Floating Restaurant". The Kaniksu National Forest in the background watches over Ellisport Bay from on high. 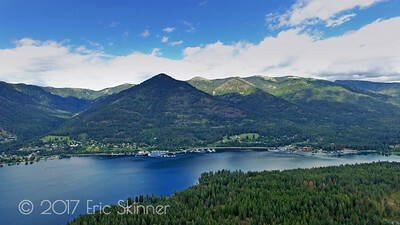 Looking West from Hope Idaho on Lake Pend Oreille. 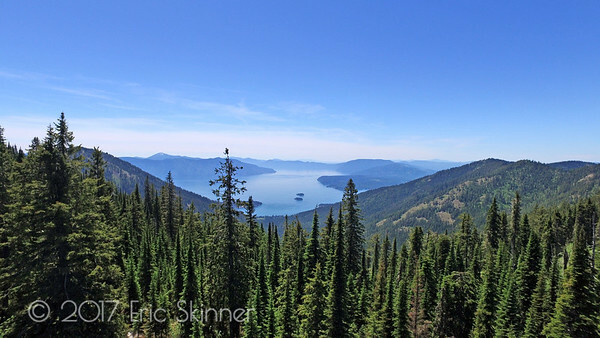 In the distance you can see Schweitzer Mountain Ski Resort. The green roof building in the lower left is the original Litehouse Restaurant where the famed Litehouse Dressing got it's start.